With one shining exception, this has been the year of mediocre rap album from big name artists. The Marshall Mathers LP 2, despite being Eminem’s best album since The Eminem Show, does nothing to buck this trend. Let’s start by playing the good guy, writing the review that even Buzzfeed would accept. As ever, Eminem is a lyrical titan. I would cannot think of a single rapper whom I put above Eminem in terms of wordplay. Sometimes scary (So I sneak vengefully and treat your bedroom window/Like I reach my full potential, I peaked), sometimes scatological (In a public stall droppin’ a football/So every time someone walks in the john I get maddened), but always scintillating. Dense, unexpected and humorous, his lines hold up his own standard and there is no bar quite as high. Some of the music on this album is indisputably incredible. Bad Guy is an excellent self-aware commentary on Em that switches sharply in the middle. 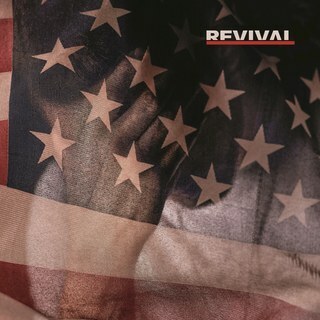 So Far… is not only brilliant in all the standard Slim Shady ways, but novel sounding as well. Headlights, Marshall’s version of Dear Mama had me feeling more sympathetic for Slim than I have in a long time. The Monster shows Rihanna to great advantage and while Love Game is far below what you would expect from a K.Dot collaboration, it is still a solid song. On the other hand though, I skip past half of the songs in the album every time I listen. Rap God, despite being an astounding displaying of Em’s lyrical abilities just gets repetitive very quickly. The words may have changed, but it’s hard not to feel like I’ve heard that song before. I now dislike stadium rap much more than before thanks to Survival, which is actually not too bad, and Berzerk, which is. So Much Better is a very strange take on the history of rap, and let alone a candle, can’t even hold a spill, to I Used To Love H.E.R.. Worst of all, Stronger Than I Was is an atonal, unlistenable mess. Rap has changed from the times when Eminem was relevant, but he really shouldn’t try to change with them. Also, as always, Slim does not stint on the homophobia (although there is a shout out to Frank Ocean’s excellent Swim Good) and misogyny. If that affects you, then I would advise avoiding this album, but I think it unlikely that you would be a Shady fan in the first place. However, the hate and violence lack the shock value they held over a decade ago. His attacks also feel less incisive. The Gwen Stefani shot for instance (Good luck trying to convince a blonde/That’s like telling Gwen Stefan’ that she sold out/Cause I was tryna leave, No Doubt/In anyone’s mind…) is clever, but is also the first time in years that I thought about Gwen Stefani. 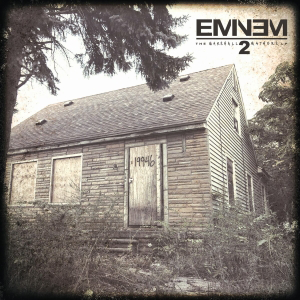 This is in places a great album, and Eminem cements his place as the most technically accomplished rapper in the game and possibly all time with it, but is far from his first three albums and far from enough to return him to relevance.